So titled because Jason has been in two thus far, and is scheduled for a third. 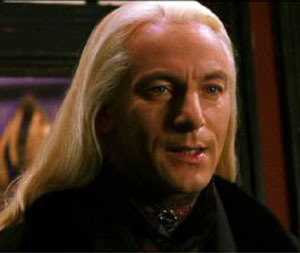 He first made an appearance as Lucius Malfoy in the second film, Chamber of Secrets, and in the fourth film, Goblet of Fire. Since his appearance as the sneering, powerful Malfoy family patriarch, excessive amounts of fanfiction have been written, and many fangirls' hearts set aflutter.